I was so excited to get these new patterns in the mail. I have been a sponsor on the Jaybird Quilts blog for awhile and I love her modern quilts. Now you can make them too! We have 10 different Jaybird Quilt Patterns I will feature a few here in the next few weeks! Patterns are beautifully done with pictures and diagrams. 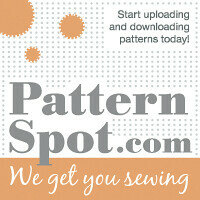 Each pattern in the shop shows yardage needed so you can easily plan out your project! This quilt makes great use of those 2.5 inch strips in your jelly rolls or roll ups! We have some great kona solid roll ups right now that would look great with this pattern! I posted a while back about this benefit quilt that we had the privilege of sponsoring. I believe the raffle is over but wanted to show you the gorgeous end results! Crystal of Little Bit Funky did such a great job. Her goal was to spread God's love in Africa by raising money for Nothing But Nets to fight malaria. I think she did a spectacular job, (and she only started sewing 2 years ago). So pretty! Hi all! I am excited to share this awesome opportunity with you. We are so proud to be sponsoring this wonderful cause! Crystal over at Little Bit Funky approached me with the dream of raising $5000 for Nothing But Nets! We provided the fabric now she is raffling a beautiful quilt! Here is a sneak peak of the first few blocks! Every 30 seconds a child dies from malaria in Africa. Children and pregnant women are most susceptible to malaria. An insecticide-treated bed net can protect a family of four for up to four to five years. Malaria is one of the most serious global health issues. Approximately 500 million people each year are infected, and more than one million of those die. Malaria is particularly devastating in Africa where the disease is a leading killer of children, accounting for twenty percent of all childhood deaths. So Crystal is making this beautiful strip quilt. And you can enter to win it by buying a net for $10. Each net purchased will get you entered in the drawing once! Head on over to Little Bit Funky for all the details! Well Quilt Market is this weekend where 1000's of designers, fabric and quilt shop owners, fabric companies and other creatives in the business gather together to see all the new products and fabric lines. It's always an overwhelming but exciting time. 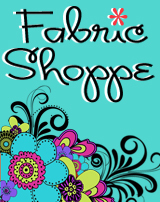 Some of you know from Twitter that we are moving in order to expand our fabric inventory. 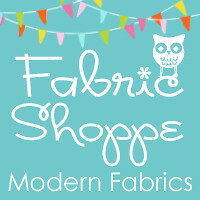 I am excited for the added space and to be able to carry more beautiful fabrics for you! I will be tweeting from Market if you want live updates (Follow on Twitter) and promise to post pics here too when I can. Pic from the Flickr group, Film in the Fridge. Speaking of quilts we are sponsoring the Bloggers Quilt Festival going on right now! Hop on over there to see all the beautiful entries! I just checked in and there were already 267 quilt entries. Make sure you have a few hours to page thru all the lovely work! Here are a few of my faves so far!